Adulting is hard. So don't grow up! Just kidding. When I moved back here in Manila, my mom moved to Cebu and all she took was her clothes only and some important stuff. Then there is this super skyway construction project that hit the apartment when she was living in Caloocan. Ugh. Sad. To the rescue, I have to get all her stuff from there to? I paused and think WHERE WILL I PUT HER STUFF?! So basically the panic is on, so I looked up for a room for rent for as low as PHP2000 per month. Just a room that I have to put her things somewhere nearby, but unfortunately it will take time to look for that. That's the time I think about the storage warehouse I always passed by on my way to work here in Makati. Good thing they have locker storage available for as low as PHP1500 per month. As an independent woman living solo who pay a lot of bills this will have another expense per month. That rate is still expensive for me. So I told myself, I will look for lower locker storage soon. My friend recommended this new "lipat bahay truck service" which is more convenient and cheaper than you can book via an App. YES, cheaper especially when you will just need a lift for 4 balikbayan boxes. "Transportify is a mobile and web app that allows you to book and manage pickups and deliveries of almost anything. Our marketplace connects businesses and individuals with qualified drivers and their vehicles to provide affordable courier services according to our high-quality standards." I booked an L300 Van and plus one helper to lift my stuff. Pick up point was in Caloocan going to Taguig (can you just not, it was a North to South trip!) but I only paid less than PHP1500. The only available locker storage that time was in their Taguig facility! So I had no choice, but to grab it because this was urgent and unexpected. Locker storage rate is PHP1500 per month. The staff was accommodating and nice. The facility is ok and organized. After 8 Months, I found a storage facility near my place here in Makati. 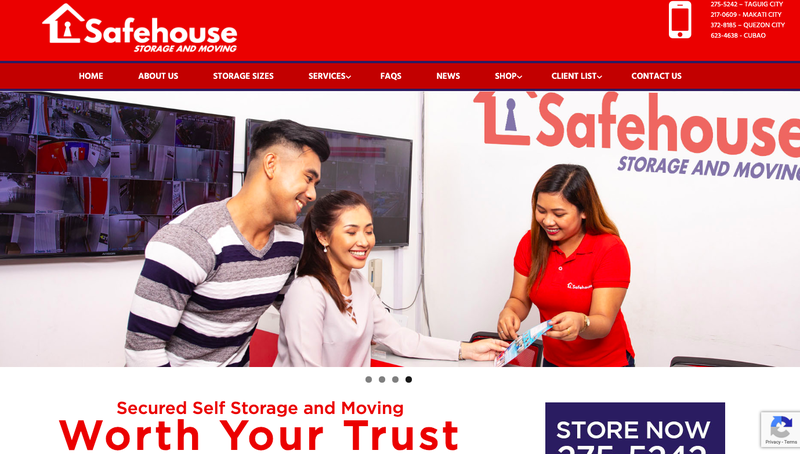 They are offering a lower rate of PHP999 per month for locker storage. What I like about their facility is that it's highly secured that you have to enter your pin to enter and exit the facility and clean! I booked my L300 Van again to transfer my things to Makati from Taguig. 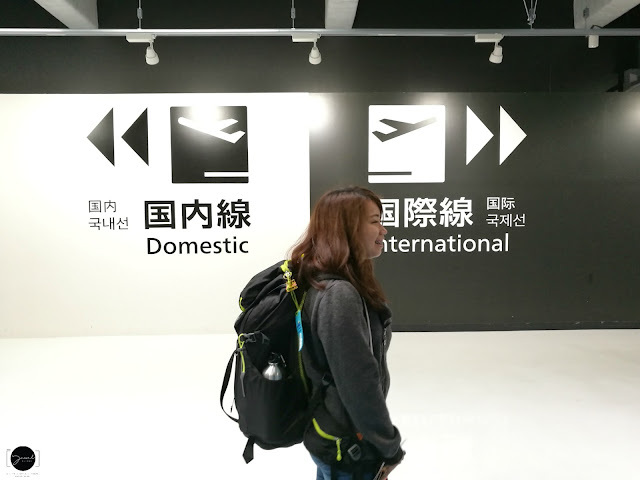 It was so convenient! 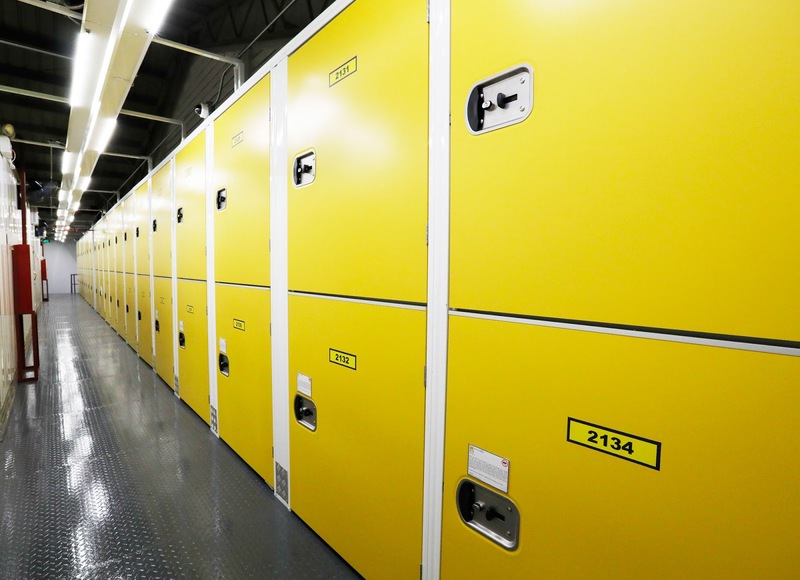 "Loc&Stor 24/7 Secure Self-Storage, offering world-class storage space for rent. Store your home and business possessions, goods, and documents with us. 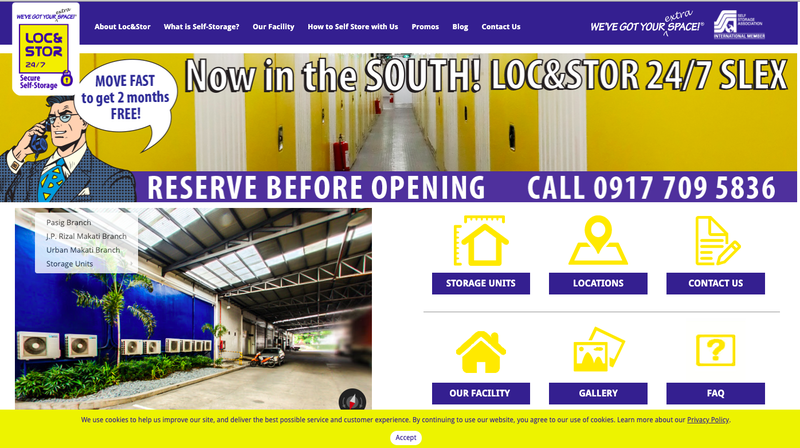 We are a World-Class Self-Storage Facility, providing secure, convenient and professional storage units for rent."